SOLD OUT – First Ladies First! The lives of America’s two First Ladies ranged from tedious, to amusing, to very exciting, each adding her personal style into the character of the nation. Join the first, First Ladies as they show how they carved the identity of the new United States. Martha Dandridge Custis Washington and Abigail Smith Adams grew up in very different circumstances. Both were well educated, but each had vastly different expectations for their adult lives. Martha was destined to be the mistress of a great Southern plantation. Abigail was expected to grow up to be the wife of a New England minister or tradesman, and the mistress of a small New England farm. Little did each lady know that they would find themselves married to men who would change the political course of the American Colonies, and by extension, the world. As the wives of the first two presidents, Martha and Abigail became the first two “First Ladies” of the new United States. Throughout the formative years of the young United States, both George Washington and John Adams would look to their wives for domestic management and security, moral guidance and ballast. Carol Spacht performs extensively in the Philadelphia region, presenting hundreds of interactive programs to schools, libraries and civic organizations. She studied theatre at Villanova University and graduated with highest honors from Eastern University with degrees in Literature and Theatre Arts. An author of original scripts and scholarly papers, she also completed a commissioned project culminating in the publication of Whitpaine’s Creek, a book on early Pennsylvania history. 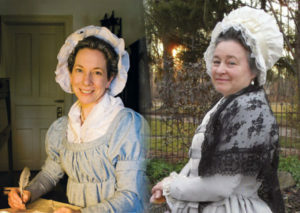 As an historic interpreter, Carol portrays several women from history, including Martha Washington for Valley Forge National Park, the Smithsonian Institution and others. She appears regularly as Betsy Ross, our nation’s premier flag maker, and has extensive knowledge of hand-sewing techniques, textiles, and the trade of the upholsterer in the eighteenth century. An engaging and delightful storyteller, students of all ages enjoy the educational and interactive “Tree to Lumber” tours on forestry and the Pennsylvania lumber trade led by Carol and her husband, Dave, at Spacht Sawmill in Worcester, Pennsylvania. Kim Hanley, an actor, singer, costumer and dancer, trained and danced from an early age with the School of American Ballet and the Eglevsky Ballet in New York, as well as with the visiting Bolshoi Ballet, Stuttgart Ballet, Bill Hastings and Chet Walker. 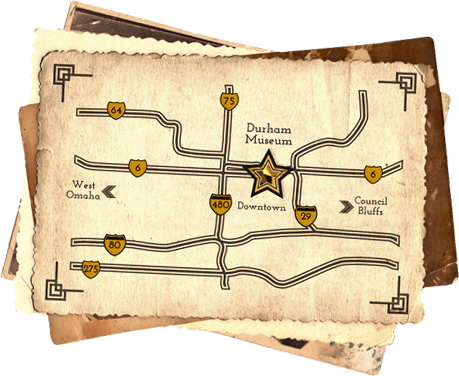 Ms. Hanley is also an accomplished costumer whose specialty is historical fashion. She includes among her “bigger” clients The Philly Phanatic. Kim’s academic training includes a BFA in Restoration and History of Applied Arts from the Fashion Institute of Technology, State University of New York. Kim began interpreting Abigail with AHT from 1997. Ms. Hanley has appeared in venues that include the White House Visitors Center, National Archives, National Portrait Gallery, Frazier Museum, Philadelphia Museum of Art, Franklin Institute, Liberty Museum, Constitution Center, Independence Visitors Center, Freedoms Foundation, Pennsylvania Historical Society, Theodore Roosevelt Birthplace, Delaware Humanities Chautauqua and libraries throughout New Jersey and the greater Philadelphia area. In addition to Abigail Adams, Kim’s character portrayals include: Annie Oakley, Harriet Beecher Stowe, Lucretia Mott, Mary Young Pickersgill, Betsy Ross, Molly Pitcher, Allice Roosevelt Longworth, Alice Roosevelt’s maid Anna, Abby Aldrich Rockefeller, and Grace Coolidge.